If 2017 was anything to go by, a world of super-fast travel awaits us. From supersonic airplanes to Hyperloop trains, the promise of speedier travel no longer seems quite so far away. Technology continued to make life easier for travellers from helpful robots in airports to earbuds that automatically translate foreign languages. These were the top ten trends when it came to the future of travel. When Concorde first flew in 1969, it seemed almost certain that supersonic travel would eventually become the standard in air travel. However, the famous jet went out of service more than a decade ago and the era of faster than the speed of sound came to an end. Now, supersonic travel is right back on the horizon. One of the problems Concorde had was the amount of noise it made making it less than ideal at airports in heavily built-up areas. However, NASA has been working on developing much quieter planes that could be ready to fly as early as 2020. 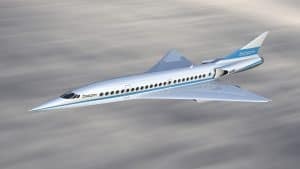 Japan Airlines are also looking at supersonic air travel while one company raised funds for their own version of a new economical Concorde. Once airborne, the missing piece of the jigsaw remains totally reliable Wi-Fi. While a growing number of airlines offer online access to passengers, the services can sometimes be patchy and not always enough to watch your favourite series on Netflix. Facebook is hoping to fill in some of those coverage gaps and offer connectivity in some of the most remote parts of the world. They plan to develop a fleet of pilotless drones that would beam superfast Wi-Fi to literally every corner of the globe. It is not without its challenges however, as they try to develop a laser system so accurate it could hit a coin eleven miles away. The dream of flying, other than on passenger airplanes, also seems within reach. 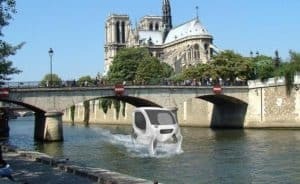 In Paris and in Switzerland, plans are being looked at for flying water taxis that would take people to their destination. Uber is also looking at airborne cabs in Dallas, Los Angeles, and Dubai. Their plan ‘Uber Elevate’ would see a fleet of ‘evTOLs’ (electrical vertical take-off and landing vehicles) take to the skies. 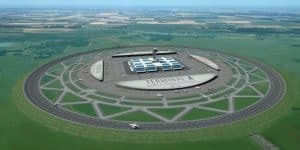 They hope to launch the flying taxis by 2020 … and the future imagined in TV cartoon the Jetsons and countless sci-fi novels will finally have arrived. If you asked people fifty years ago what the future looked like, they invariably thought robots would be doing all our jobs. 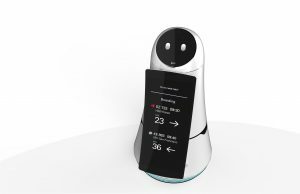 Robot technology is here, albeit a little slower to develop than might have been expected, and they’re starting to make their presence felt in tourism. In South Korea for this year’s coming Winter Olympics, travellers can expect to be met by helpful robots at Incheon Airport. The Airport Guide Robot can scan boarding passes, provide help in four different languages, and offer advice on getting to gates. If you notice the terminal is very clean – that’s because Airport Cleaning Robots have also been drafted in to keep the place spick and span. They’re even fitted with object-avoidance systems to ensure they don’t trip up passengers. No article about technology could be complete without mentioning Google. And the tech giant was behind one of the most useful innovations this year with the launch of their Google Buds. These headphones can understand forty different languages, as well as playing your music, making calls, and getting directions. As Google’s Adam Champy explained: “it’s like you’ve got your own personal translator with you everywhere you go.” Google’s efforts to map the world also continued this year with street view extended to Uluru in Australia, the national parks of South Africa, and the most northerly ever location in Canada’s Nunavut. Virtual reality projects generated headlines throughout the year with a giant new VR theme park under construction in China. One of the coolest experiments however, was in Paris where two virtual reality telescopes have been installed at Bastille and on the riverside. The ‘Timescopes’ allow visitors to journey back in the past to see how things would have been hundreds of years before. At Bastille, travellers can see the famous prison as it looked when it was stormed during the French Revolution. A second Timescope on the banks of the Seine lets you see how the famous river would have looked when cargo boats laden with goods plied their trade there. Best of all, they’re free. Museums are also becomingly increasingly high-tech using everything that technology has to offer to give visitors new experiences. One of the most haunting projects can be found at the Illinois Holocaust Museum and Education Center near Chicago. There, thirteen survivors of the Holocaust have given first-hand accounts of their experiences during World War II. Visitors can interact with holograms of the survivors by listening to their personal stories and asking questions. If a future of supersonic travel beckons, so too super-fast train transport. 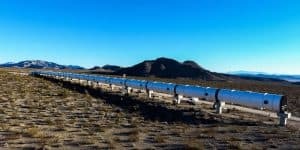 The first full-scale test track for the Hyperloop was built in Nevada, which if successful could revolutionise how we get around. The Hyperloop would use pods that travel through tunnels in a vacuum at speeds of up to 700 miles per hour. The four-and-a-half-hour flight between Melbourne and Sydney in Australia would for instance be cut to just 55 minutes. Another project is looking to connect Seattle and Portland in a journey that would take only a quarter of an hour. Hollywood blockbusters like Gravity, the Martian, and Interstellar have made the cause of space travel ultra-fashionable again. With Elon Musk bidding to fly rockets to Mars, humankind once again appears destined for a future among the stars. To actually live on Mars however, the bodies of our astronauts would be pushed to limits never before experienced. China is building a simulation base so that people can see what life on the Red Planet would actually be like while travellers can also glamp in tents like those found in the Martian in the desert in Jordan.